Professor Günter Blobel, The American Nobel Laureate in Medicine in 1999 and a prominent American scientist, in a letter to the US Secretary of State Hillary Clinton, asked for removal of the People’s Mojahedin Organization of Iran (PMOI) from the list of Foreign Terrorist Organizations. I write to you as the 1999 Nobel Laureate in Medicine.  I was apprised that the U.S. Court of Appeals for the District of Columbia ruled in favor of the People’s Mojahedin Organization of Iran (PMOI) and described the Secretary Rice’s decision in refusing to remove the PMOI from the FTO list as unlawful. I have always wondered how a government like Iran could be called central banker of terrorism and at the same time its main opposition be designated as an FTO. I learned that the Court’s action to remand the case to you for review was due to then Secretary Rice’s decision to maintain the PMOI on the list despite lack of evidence and violation of the due process of law. Accordingly, I believe that the time has come to remove the PMOI from the blacklist. The European Union and United Kingdom have done so in recent years. Insisting on keeping a legitimate resistance in the list for political reasons is against our desire for the Iranian people to achieve democracy in their country. Therefore, I request you, Mme. Secretary, to reconsider this issue and lift a grave barrier from the path of Iranian people toward freedom.